On a damp March Saturday this year, a few folk gathered at Mid Yell Church Hall to participate in an auction of the church's possessions. 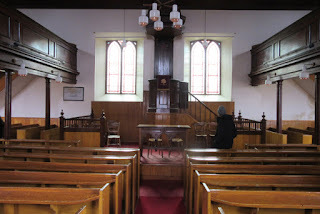 The late Georgian church, simple and solid, that had wedded, christened, buried and, no doubt, hectored the community for nearly 200 hundred years is now too expensive to maintain for the small congregation that use it, so it is being sold for conversion to other purposes. In the announcement for the sale it mentioned a basket and a couple of carpet beaters and my curiosity was piqued. 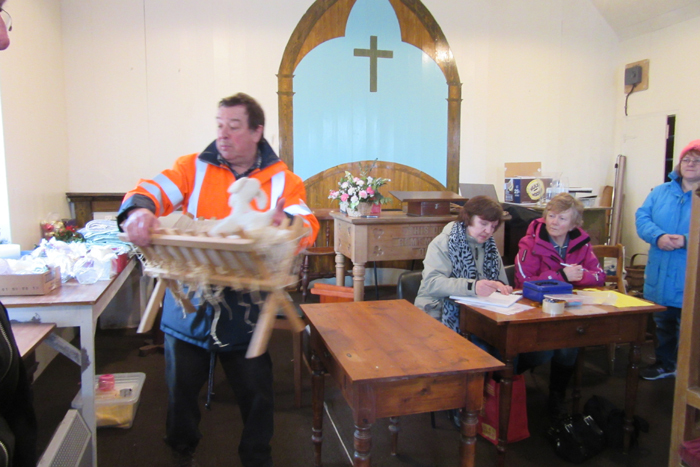 In amongst the cups and saucers, kettles,Christmas decorations, a manger with fluffy lamb, pews, vases, two organs and the altar was a Southport boat basket and two cane carpet beaters, all in good condition although the basket has lost its lid. 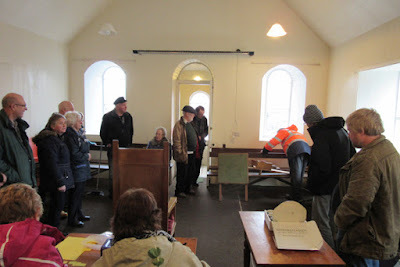 No one else was interested in owning them so my £2 bid secured the lot which included (rather surprisingly in a church) a small folding card table and a reel of very fine copper wire. Some of the participants in the auction ended up buying tons of stuff in order to support the church and when I asked one man what he would do with it all, he said he had no idea. The most poignant moment of the whole event was when the Bible, a massive, ancient, leather bound, silver clasped copy appeared and nobody wanted to buy it, not even for one pound. Everyone hung their heads and the sense of shame in the room was tangible. 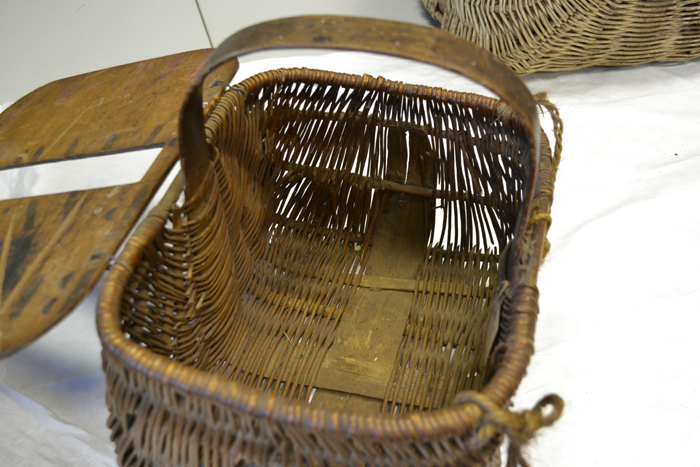 The Southport boat basket was an extremely popular possession in its day. 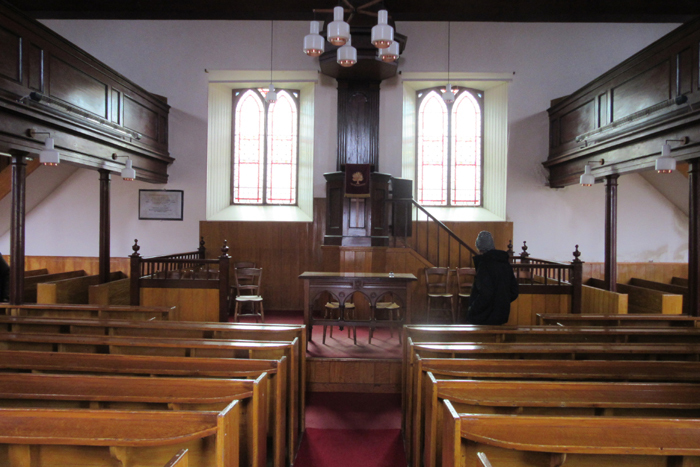 Many examples can be seen in museums in Britain and particularly in Scotland, the Shetland Museum has at least two. According to Dorothy Wright (p.120 Complete Book of Baskets and Basketry, ISBN 0 88914 055 3) it was designed in about 1830 by a Mr. Cobham of Mawdesley in Lancashire and produced by the local basket making firm of Thomas Cowley. Although no one else at the auction bid for the basket plenty of people admired it and older folk remembered having one similar at home. They were used for taking goods such as eggs and butter to market but I have heard they also served as 'cabin baggage' for the many women gutters who travelled by train around the northern British coasts following the herring boats, though I have no hard evidence for this. It isn't surprising it was such a popular basket because it was very well designed, not only in terms of its functionality but also in terms of the time and skill needed to produce it. Made out of buff willow and split ash it must have been a quick basket to produce because of its method of construction. Only one simple wooden mould would have been needed to make the willow frame of the basket, the willow frame of the lid and the ash handle bow/central rib as they are all the same size. The lid was woven from each end on one frame with a gap between the two woven areas that went over the handle. It was attached to one of the long sides of the frame. This would have been far quicker than making two separate lids as it was only necessary to make and attach one frame. One of the Southports in the Shetland Museum collection has a plywood lid which was obviously a replacement, but very effective and quick to do. 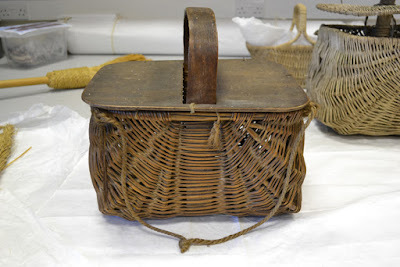 Interestingly a fettle ( carrying band) had also been added to this basket so that it could be carried on the back as though it were a kishie. The use of a strip of ash that was both the handle bow and central rib would also have been much simpler to construct than a willow one, requiring only the bending and tacking of the ash strip. The strength supplied by this ash bow/rib meant that the ribs on the basket could be spaced quite widely apart thus speeding up the weaving, there are only 10 willow ribs on the full size basket. Perhaps the most ingenious design feature is the strip of ash that runs end to end underneath the basket because not only did it make the basket very strong but it also eliminated the need to fill in the gap between the two sides with willow, which is always the slowest and most difficult part of making a frame basket. Given how popular this basket was I am surprised no-one has thought to make them again now. The design is well documented, it is an indigenous British basket and it is extremely practical. 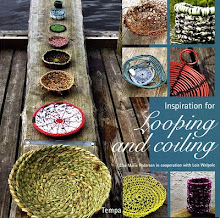 As I have willow and the ash trees grow like weeds around my studio I am sorely tempted to give it a go. Before electricity came into our homes carpet beaters were essential household equipment. On a dry spring day carpets and mats were draped over the washing line and the living daylights were beaten out of them by bored housewives wielding these decorative cane beaters. Not only was this superb therapy for the woman doing the beating but it also got rid of all the the dust and moth larvae without her needing to spend any money on electricity. In our house the man beats the mats with a length of timber or an old tennis racket but I might feel a tad more inclined to join in with these lovely beaters. There are also instructions for making a carpet beater (p.101) in the Dorothy Wright book mentioned previously.